It’s going to happen – there will be times in recovery when you will be faced with huge disappointments. It can feel incredibly unfair to be trying so hard to build your new life but have things go wrong, but this is just the way the world works. Getting sober is not going to give you a free pass through life, and it is unrealistic to think otherwise. 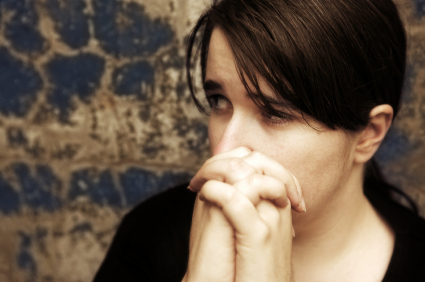 Below are just 10 suggestions for how you can deal with disappointment in recovery. A disappointment can actually be the seed of an exciting new chapter in your life, so it is important to try to see the bigger picture. You may one day look back on this disappointment as one of the best things that ever happened to you. It is all part of your journey, and one feature of developing emotional sobriety is you get to appreciate every aspect of your life – even the bad things. Emotional sobriety also allows you to develop the wisdom of seeing things that may appear bad on the surface but may actually be ultimately good – for example, many people respond to losing their job by launching their own successful business. When it comes to disappointment, you have a choice – you can see it as an attack on your well-being or as a chance to grow. The problem with taking a setback like this too personally is that this attitude will not benefit you in any way. It just leads to helplessness, which can trigger depression. If you decide to look at this disappointment as a test, you can use it to your own advantage and come out the other side feeling stronger. It may sound incredibly naive to suggest that the universe creates difficulty just to teach you something, but it is just far more productive to act as if this were true; it does not have to be true to benefit you. Disappointment will always be more of a blow when you are not expecting it to happen. The problem here is unrealistic expectations. Expecting something to go wrong does not mean that you are being negative or that you are tempting fate; it is just being realistic. You are still being optimistic about achieving your goal, but you are also prepared to deal with any challenges that happen along the way. Randy Pausch described these disappointments in his Last Lecture as necessary because they are there to deter those who are not really committed to the goal. If you have just had a huge disappointment then it is perfectly natural that you would want to lick your wounds for a couple of days. Pretending as if nothing happened is just going to be ignoring your feelings, which is never a good idea. You should just accept the pain you are feeling now, while not being afraid to feel bad about what happened. What you do not want to do is to wallow in the disappointment by using it as an excuse for self-hatred and negativity. Treat the bad feelings created by the disappointment like symptoms of illness – do not ignore them but focus on feeling better as fast as you can. If you just try to put on a brave face, it will mean that you are dealing with your disappointment all alone. This can be dangerous because it puts you at the mercy of your inner-critic, which can blow things out of all proportion. It is much better that you talk to others about how you are feeling. You have no doubt heard the old saying about a problem shared being a problem halved; there is a great deal of truth in this. Others can help you see things you may have missed, and they may be able to provide helpful suggestions. When things go wrong, your brain is likely to concoct a big story about what happened. A lot of this story will be based on things you suspect and not things that you know for a fact. The problem is that after a few days, the story takes on a life of its own, which can make it hard to distinguish fact from reality. For example, say you applied for a promotion but did not get it, your brain may create a story about how your boss does not like you, and you may even start to imagine that your current job is in jeopardy. You need to be able to step back and look at your situation objectively so that you can prevent the stories created by your brain from increasing your level of suffering. It can be hard to think rationally when you are in the middle of things going wrong, which is why it is so important that you have an action plan in place for dealing with things. You can be sure that things are going to go wrong as part of life, but if you have a strategy ready for dealing with disappointments, you do not have to worry about being overwhelmed at the time it happens. Your plan could include things like going to more AA meetings for additional support or enlisting the help of a trusted friend. You would be able to bounce back from almost any mistake as long as you are willing to learn from it. It is vital that you look back at the events leading up to this failure to see where you went wrong. If you fail to do this then there is a real risk that you will make the mistake again in the future. In fact, most of the suffering that people experience in life is due to not learning from previous mistakes. Just because you have suffered disappointment in one area of your life does not mean that you cannot enjoy other areas of your life. Maybe now would be a good time to focus on family or friends or to put more effort into your hobbies. This is not about running away but about giving yourself enough space to recuperate from your disappointment so you can come back stronger and more determined later. If things are going wrong in your life, it is a great time to count your blessings. Focussing on gratitude can help to soothe the disappointment, also boosting your motivation to get back in the fight. Remember, all of the good things you have achieved so far will help to protect your self-esteem and remind you of what your recovery is all about.